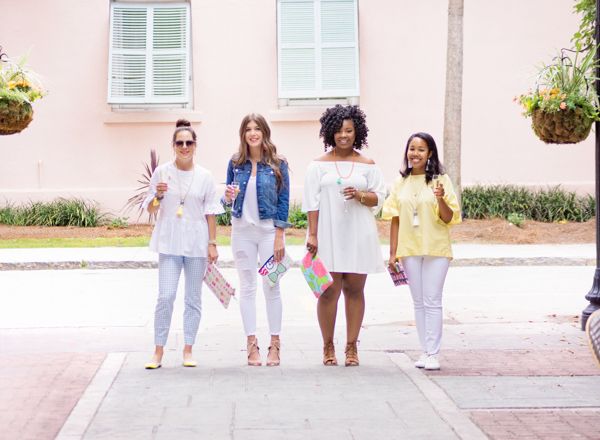 This post is for all you Charleston locals who have waited until the last minute to buy your Mother's Day gifts (It's on Sunday if you didn't know lol)! 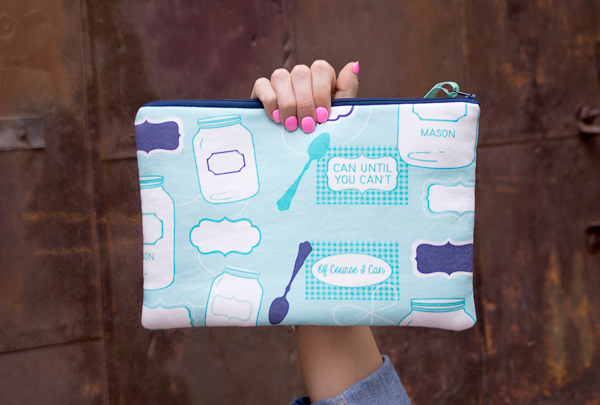 Can we talk about how cute these Borough clutches are?! They come in six different prints and three different styles! 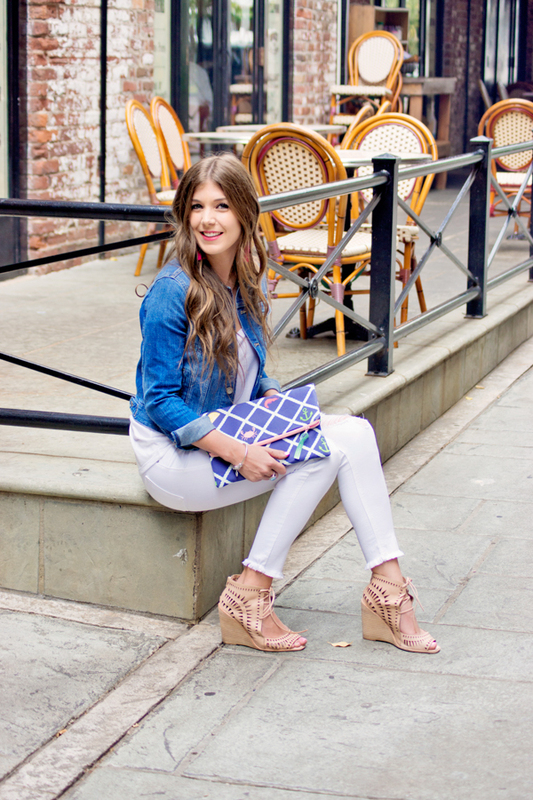 Every Charleston mom needs one of these clutches! 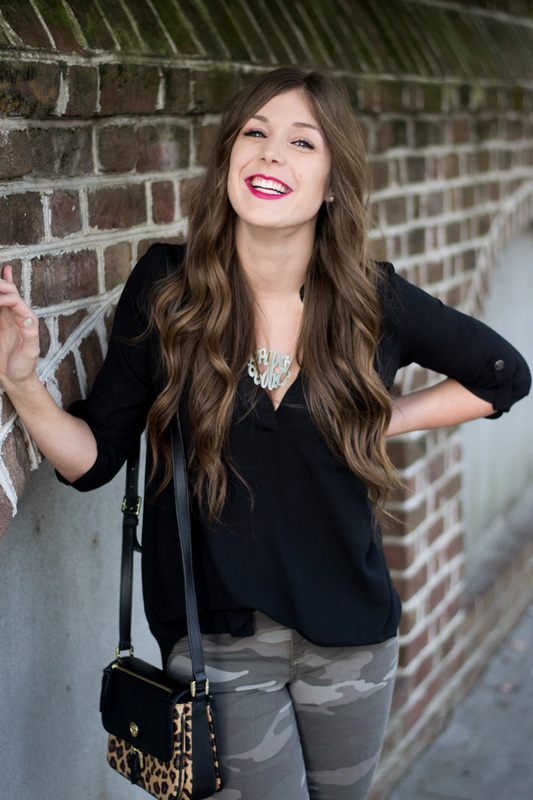 The founder, Ashley, is the absolute sweetest, and it shows in her prints! They are so fun and scream Charleston! 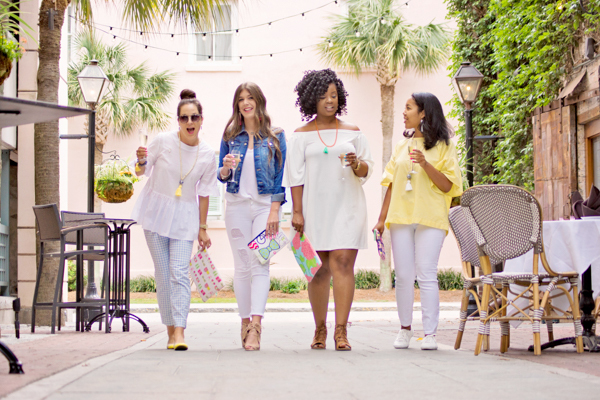 All of the prints celebrate the Lowcountry lifestyle and production takes place in Charleston using organic cotton fabric from North Carolina. So when you buy from Borough you're getting a quality product infused with Southern love!! I got my mom the clutch-mini in the print Charleston Scene. It's my favorite print, and my mom has a bulldog (that she's obsessed with), so I felt it was only appropriate! It may be too late to order online, but you can shop these clutches in store at Cannonborough Collective! They are open 10AM-5PM today and tomorrow, so you still have time! 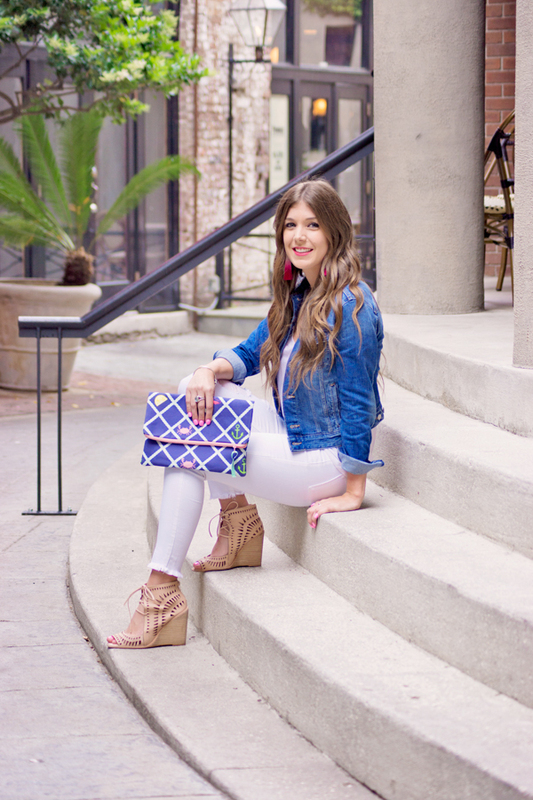 I love the pop of color in your clutch and earrings! This whole thing is so cute and stylish!! You look so gorgeous!! I am in love with that clutch! These little clutches are adorable! 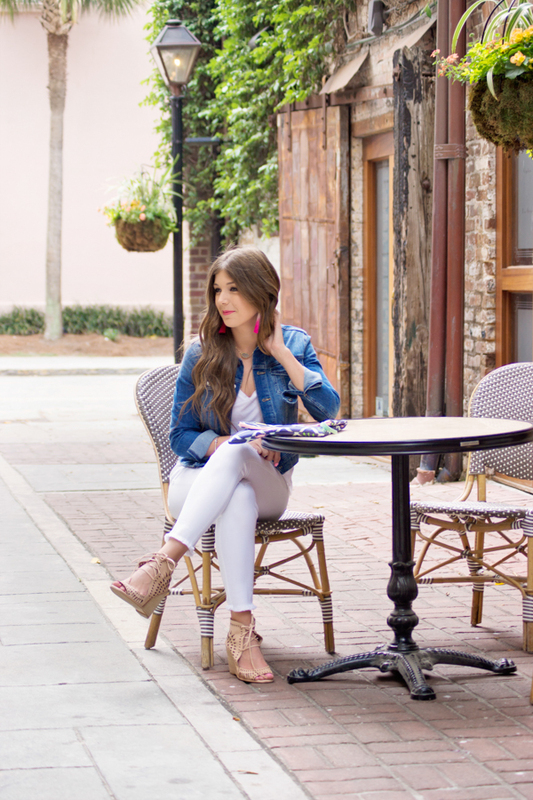 Love your look paired with the denim jacket. Those clutches are the cutest! I love the prints! Those clutches are so colorful and fun! And I love your shoes! Too cute!! I have a lot of friends stationed near Charlotte. Sharing! Those clutches are beyond adorable! Love how fun they are. I love those little bags! So adorable! 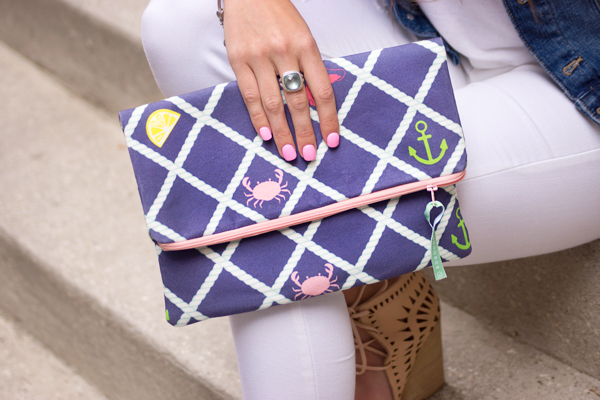 That clutch is too cute! I love those earrings too! I love your style! I am totally gushing over those shoes!! So stinking cute! Omggg your clutch and those tassel earrings I am obsessed with!! I love this! 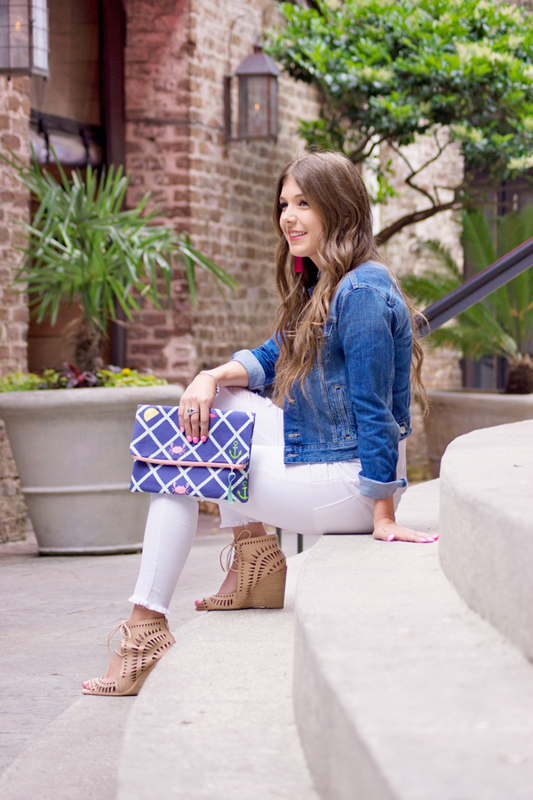 Those clutches are so cute and perfect for Mother's Day! So cute! My mom would love those bags! I love the color and designs of those clutches! And those earrings are too cute! My mom would LOVE that clutch! So cute, Kelsey! 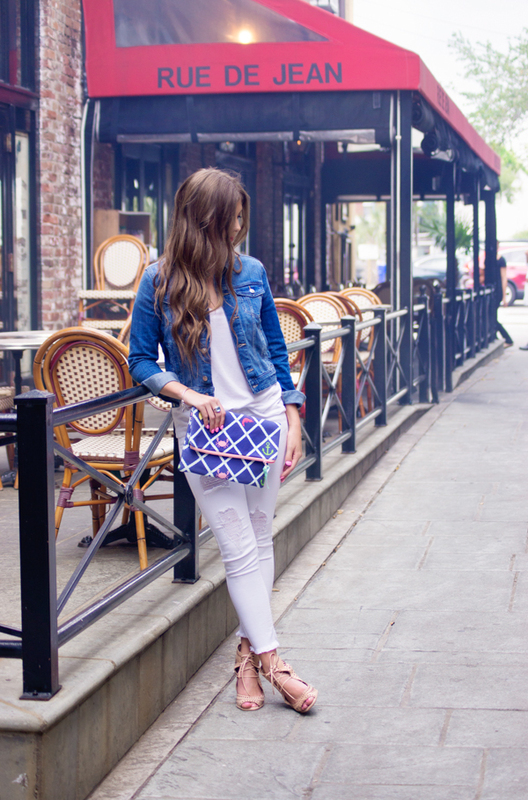 Love your outfit; definitely my go-to summer uniform! Hope you had a blast on your Mother's Day celebration! 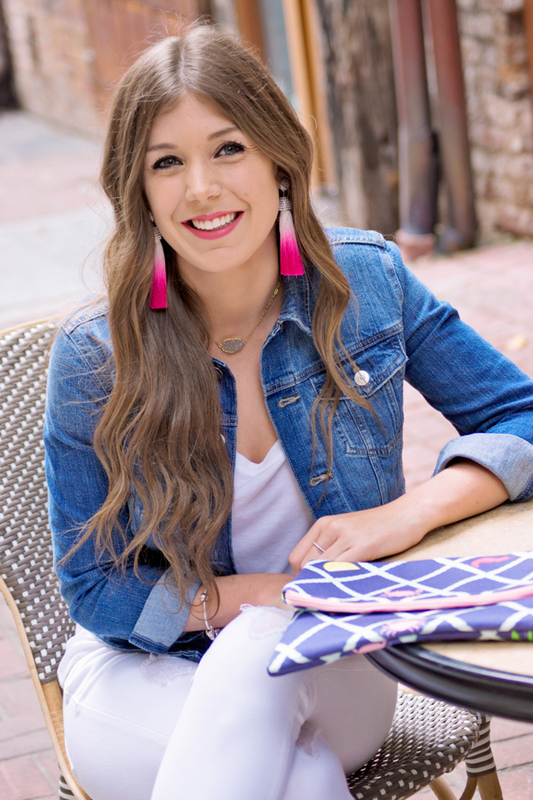 You look gorgeous in this outfit - love the ombre tassel earrings! 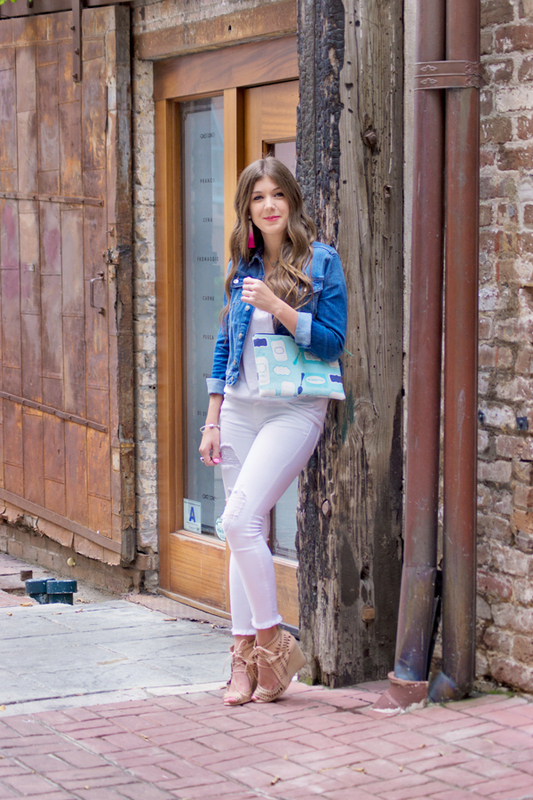 Two things: first, those wedges are just adorable! 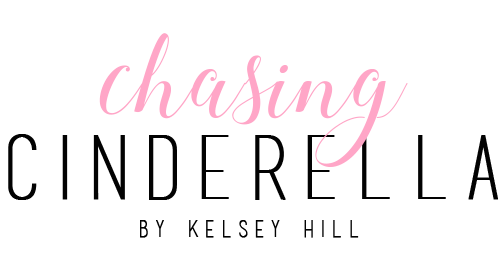 Second, I'm in love with the name of your blog. It reminds me of one of my favorite movies: A Cinderella Story.